Upstate Windows and Exteriors specializes in constructing beautiful, durable decks and porches of all shapes and sizes. Want it it covered? We can do that! Want multiple levels? We can do that! Want to re-do that small stoop? We can do that! 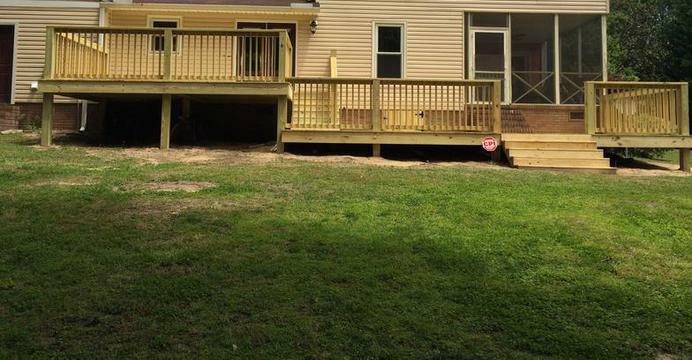 At Upstate Windows and Exteriors, we have the skill, knowledge and experience to turn that boring old deck or yard into the outdoor living space you've always dreamed of having! Call us today for your free estimate.